Our February NATS Chat, sponsored by Inside View Press, will take place Monday, February 8, at 9:30 p.m., Eastern time (bumped from its regularly scheduled day due to Super Bowl 50). This month’s topic: “The Voice Team vs. the Vocal Injury – Who does what, when, where and why.” Host Dr. Kari Ragan (Puget Sound Chapter NATS member) will moderate a guest panel that includes: Margaret (Peggy) Baroody, Sharon Radionoff and Karen Wicklund. 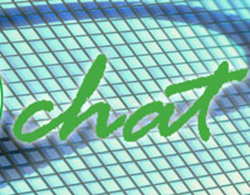 Register here for this month’s NATS chat. And for more information on our NATS chats, click here.